You’re probably sitting comfortably in your solar powered tiny home. But sometimes things can go awry. Staying alive in survival situations is not as easy as the popular tv shows make it sound. The truth is it takes an incredible amount of knowledge and skill. Building a survival shelter is not a common sense technique, and neither is starting a campfire. You have to start somewhere. Let’s take a deep look inside what it really takes to survive, and get you on your way with everything you need to know about survival shelters. Keeping a roof over your head is important, but seldom is it more important than when you are fighting for your life. Why Is It Important To Have A Survival Shelter? In certain survival situations you may be able to sustain yourself for a short time without shelter, but eventually you will succumb to the elements. Emergencyessentials.com says improper disposal of human waste can quickly lead to widespread disease. Shelters might not necessarily stop the spread of diseases, but they can sure help. A portable toilet or similar facilities contains contaminated waste. This keeps disease and sickness to a minimum. Privacy shelters can also help keep you healthy by keeping you out of the rain, cold, and other conditions that breed illness. This one should be glaringly obvious. In a survival situation you need all the help you can get to stay alive, and body heat plays a big role in this. Without adequate shelter, the heat generated by your body is not kept near you–instead it escapes out into your surrounding environment which can lead to hypothermia. This process of losing heat to the surrounding environment is called heat transfer, Practicalsurvivor.com says. When one mass is warmer than the area around it, the heat from that mass will escape to the cooler area. This is why the desert can be more than 100 degrees during the day, but near freezing at night. Weather exposure can also contribute to the contraction of illnesses like flu and pneumonia. Have you ever sat through an outdoor sporting event and thought to yourself “man I just cannot wait to get home and get out of this crap?” Well imagine that exact feeling, but it never ends. There is no getting out of the elements. You’re just doomed to deal with it until the weather is done. That kind of experience will wear on your psyche and eventually drive you to the breaking point. On a sunny day you would have no escape from the inevitable sunburn, and on a rainy day there would be no escape from the cold, wet downpour. This is part of why shelter is a basic need for human survival. The quickest shelter. Easy to build and can serve you well in the short term–but do not count on this type of shelter for more than a day or two. 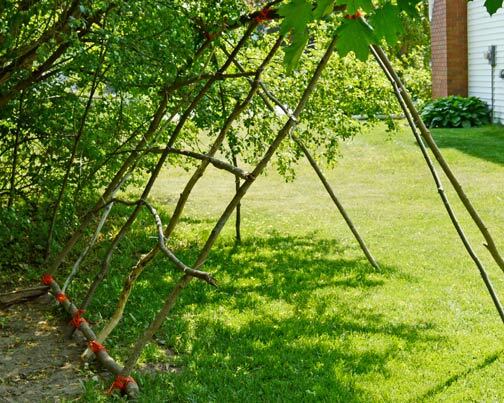 This shelter is also easy to build because it incorporates debris and other foliage. Use this construction for short-term or unexpected situations. Count on this to comfortably accommodate one or two people. Accommodate as many as four people with added weather protection. Depending on the materials you have available, the construction can take anywhere from two to five hours. The A-Frame shelter is similar to the lean-to both in construction and use. If you need something for up to four people but don’t have anything to lean the structure against this is the ticket. One of the most well known survival shelters. 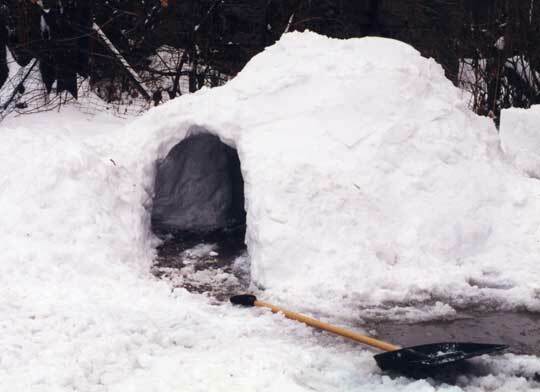 This construction is especially good for having a fire within your shelter and maintaining heat. For short-term shelter, a subterranean survival shelter can simply be hollowed out of a mound of earth, creating a warm place to sleep. Other variations of subterranean shelters can be intended for long term use and take weeks to build. In some environments it may be easier or more beneficial to use the ground itself to make your shelter rather than constructing on top of it. thebugoutbagguide.com says an optimal location is the root base of fallen trees, as the roots provide structure and prevent caving in. For a longer-term shelter, substantial planning and effort will be required. Those who choose to build a long-term subterranean survival shelter either build one on their property or an offsite location. Designs can range from simple cellar-style rooms to complex homes that are fully outfitted with a power supply, furnished with necessities and comfort items, and have functioning defense systems. How Do You Build A Survival Shelter In The Woods? The experts at thebugoutbagguide.com will help us here with descriptions of how to build the wooded area shelters we’ve shown you in this post. You’ll find that some of the same mechanics apply to each shelter design–all are possible with a little practice! Clear a hole just big enough to crawl into and cover the opening to block air flow and limit the open space. Block the entrance with whatever debris you can find. Your body heat will be trapped inside the shelter, keeping you warm throughout the night. 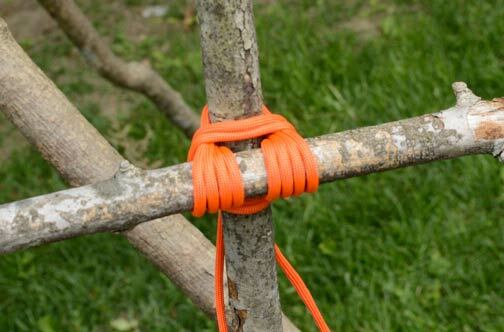 To create the frame, lean poles against a lower branch or tree trunk in a manner that will fit under your tarp. In an emergency, you can forgo the frame and simply wrap yourself and your gear in a poncho and huddle in the crook of a tree or other sheltered spot until morning. For stand alone teepees, start with three long straight poles and use a tripod lashing to join them. Try to locate a long pole with a Y-shaped joint at one end. This will provide the frame with stability as the next pole can rest within the Y-shape. To build the teepee, continually add pairs of similar sized poles and join them together at the top, leaving the base wide enough to curl up in and tall enough to sit comfortably. Once the frame is constructed, fill in the gaps using whatever materials are available to you including leafy branches, vines, mud and grass. Work your way up from the bottom, as you would with roofing tiles, so that the rain will drip down the overlapping layers instead of into your teepee. 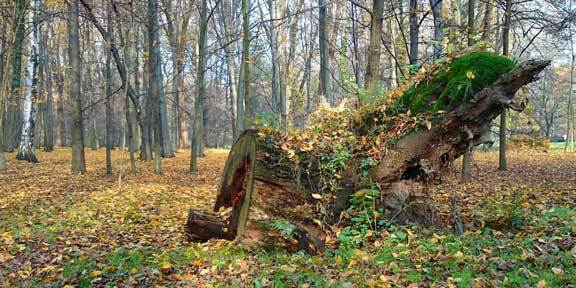 Start by looking for downed trees that have branches low enough to support the topmost point, known as the ridgepole. If you only locate one tree, use it as the ridgepole, lashing in place if necessary, but if you locate two downed trees near one another, lay a sturdy branch between them. Gather approximately five to six poles to lean against the ridgepole at roughly a 45-60 degree angle, enough to create a comfortable space to fit your team and gear underneath. This will serve as your grid. To create the grid frame, attach 5 to 6 poles across the frame. Weave flexible boughs between poles at right angles and then use bark or leafy branches to thatch the roof, starting from the bottom and moving upwards. You can add additional walls for further protection using the same method. If you have a tarp or mylar survival blanket, you can hang it from the opening to act as a curtain. The A-Frame shelter is constructed in much the same way as the lean-to, the only difference is that the ridgepole starts on the ground and extends up into the tree, lashed at a height that allows enough space to sit underneath. Two sides are constructed to create the A-frame shape, providing additional protection from weather or cold temperatures. For added warmth, build your fire pit near the opening. There are two basic categories of survival shelters we need to deal with here. There is the constructed shelter, and the makeshift shelter. A constructed shelter would include any survival shelter that takes several days or weeks to build, and is usable for deep storage. On the other hand, a makeshift shelter deals with the handbuilt types we have gone over in this post. For cooking essentials, the Solavore Sport is an effective and versatile tool in the survival shelter arsenal. In a sticky situation you can not only cook just about anything in the Sport, you can also pasteurize water to drink. 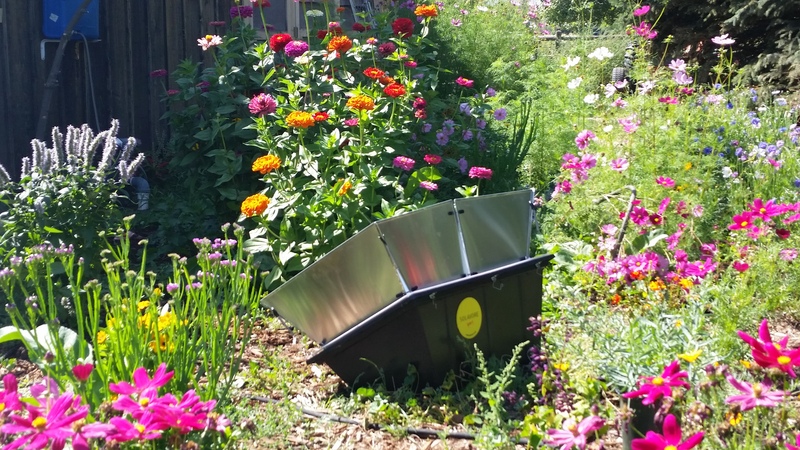 Power and other utilities for cooking are not guaranteed in a survival situation–a solar oven offers great peace of mind on that front. If you decide to go with a tiny house, it can be a good way to get yourself off the grid. The list for what to bring for your makeshift survival shelter is noticeably shorter. With this we want to focus on the bare bones essentials. What will get you through the next few days and what won’t. You can never be prepared enough for a survival situation. There are always unknown variables, and things that can go wrong you can’t prepare for. The least you can do is cover the essentials. 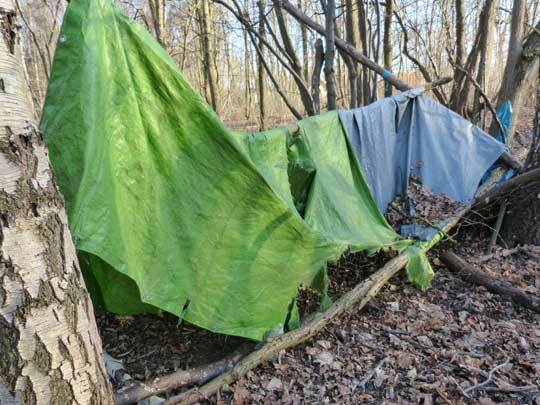 With the tips and tricks in this post you have the knowledge necessary to create a makeshift survival shelter in just about any situation, and you know exactly what you need with you to survive. When it comes to staying alive–a little knowledge can truly be the deciding factor.